You won't believe what the most popular search is in Vermont! 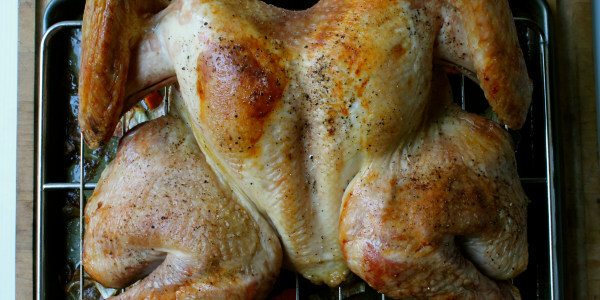 Looking to wow guests with an awesome Thanksgiving dinner dish? Or maybe you just need a little help perfecting a tried-and-true staple like a green bean casserole. Either way, Google is there. Thanksgiving is fast approaching and with Nov. 22 less than two weeks away, folks in every corner of the U.S. are scouring the internet for Turkey Day inspiration. Some are apparently dreaming of a different spin on that sweet potato casserole. Others are exploring different techniques for traditional dishes. And then there are those who just need to figure out how to roast a turkey in first place, because no one wants a frozen bird! To figure out who's googling what in every state, internet service provider Satellite Internet mapped out trends from food-related searches in November (from this year and 2017) to determine what dishes are the most popular throughout the country — and some of the results are pretty surprising. Sure, there are plenty of expected searches, such as turkey throughout much of the West Coast as well as in New Jersey, New York and Pennsylvania. Pumpkin pie is a sought-after recipe in Washington State, but sweet potato is more popular in Alabama, Tennessee and Kentucky. The Midwest, according to the map, is entirely devoted to green bean casserole, the creator of which recently died at 92. But some states pass funkier flavors around the Thanksgiving table. 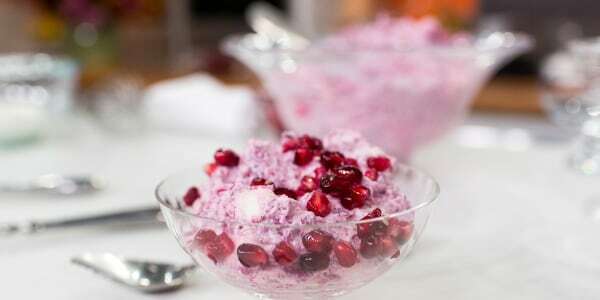 Vermonters, for example, are searching for ambrosia salad this time of year. We suppose the combination of whipped cream, marshmallows and canned fruit is a pretty refreshing accompaniment compared to heavier savory sides. And apparently Jell-O is a big thing in Utah and Idaho. Maybe they like to mix it up with some cranberries? A few states are all about Popeyes Louisiana Kitchen (though Louisiana likes cornbread dressing) and are searching for a copycat recipe: Popeyes Cajun Turkey. Virginia, Washington D.C., Mississippi and Illinois are all super into serving up Southern-style poultry. Outside of the contiguous 48, Alaskans are big fans of pumpkin cheesecake. Nice one, Alaska. And Hawaii opts for a sweeter take on root veggies with candied yams. For more tasty Thanksgiving dinner ideas, check out TODAY Food's favorite tips for how to cook a juicy turkey and other delicious Thanksgiving side dish recipes.